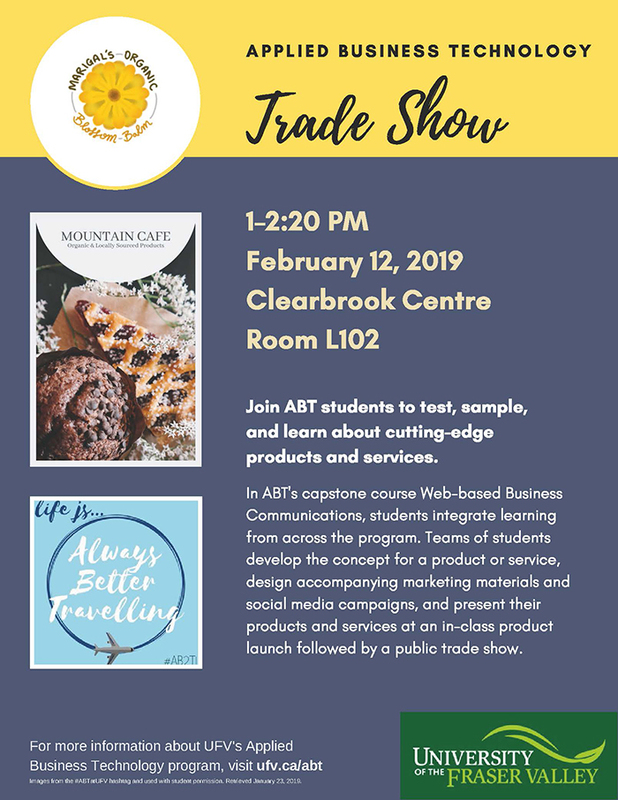 Mark your calendars for the Applied Business Technology (ABT) Trade Show, a showcase of the products and services developed by ABT students at the culmination of the program. Come prepared for snacks, samples, prizes, and other inducements created by the students to entice you to their booths. In ABT’s capstone course Web-based Business Communications, students integrate learning from across the program. Teams of students develop the concept for a product or service, design accompanying marketing materials and social media campaigns, and present their products and services at an in-class product launch followed by a public trade show.